Earlier this year the online banking malware ZeuS trojan's source code was leaked. One of the predictions made by security researchers at the time was that the leaked code would be used by independent malware developers, who would explore it and develop their own hybridized versions of ZeuS, adding custom features and advancements to it. A new trojan was briefly presented to cybercriminals in the Russian-speaking underground in late April 2011 (as v1.0.0). The developer who wrote the new trojan, and named it "Ice IX", openly declared that he developed his new trojan based on the ZeuS v2 source code, and in doing so allegedly perfecting flaws and bugs he believed needed fixing to improve the product's value to its cybercriminal customers. 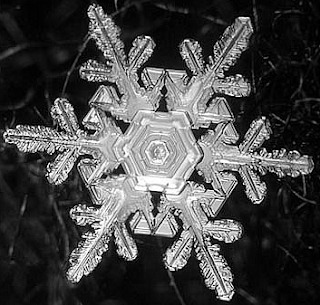 What's in a name: the meaning of "Ice IX"
The naming of Ice IX is quite interesting; there are a number of sources from which the developer could have been inspired to name the new trojan Ice IX. I've listed these in order from "most likely" to "least likely" to have been the inspiration. Ice 9 is a fictional computer virus from the film "The Recruit" (2003). The malware, named Ice-9 in tribute to Kurt Vonnegut's ice-nine (see item no. 8 below), would erase hard drives and travel through power sources which are not protected; possibly erasing data from every computer on Earth. The term ICE, referencing the cyberpunk usage, has been adopted by some real-world security software manufacturers: BlackICE, security software made by IBM Internet Security Systems. Black Ice Defender, security software made by Network ICE. Network ICE, a security software company. Ice 9 is a song by Joe Satriani from his album Surfing with the Alien. The new feature considered most valuable by Ice IX's developer is the implementation of a defense mechanism designed to evade Tracker sites, which he managed to implement in version 1.0.5 of the Ice IX trojan. Repeatedly stressed by Ice IX's developer, his buyers will finally be able to sidestep what has apparently become quite the hurdle for cybercriminals - ZeuS and SpyEye trackers. The two main tracker sites, "ZeuS tracker" and "SpyEye tracker" are operated by a Swiss-based organization which monitors and reports malicious C&C (Command and Control) servers to web users, service providers, CERTs and law enforcement agencies. Ice IX's developer claims that the evasion mechanism means the malware can be hosted on standard (legitimate) hosting servers, as opposed to having to use so called "bulletproof" servers which are expensive and typically operate specifically to service cybercrime-based customers. Ice 9 is a new private Form Grabber-bot based on ZeuS, but a serious rival to it. Built on a modified ZeuS core, the core was re-worked and improved. The bypassing of firewalls and other proactive defenses was perfected. Moreover, the injection mechanism has been improved, allowing much more stability for the injections. The main purpose of this trojan was to counteract trackers, raising the conversion rate and the bots' TTL (time to live), as compared to its predecessor. These features were successfully implemented as we constantly work to further improve the code. HTTP and HTTPS Form Grabbing, injecting its own code into IE and into IE-based browsers (Maxton, AOL, etc..), as well as Mozilla FireFox. Grabs certificates from MY storage space and clears storage (certificates marked as “Non-Exportable” cannot be exported correctly). Once cleared, all new certificates will be sent to the bot master's C&C server. Upload specific files from the infected machine or perform searches on local disks enabling wildcards. Host your botnet with conventional hosting, not needing bulletproof servers, which will save you loads of money. Better bot conversion rate², frequent version upgrades and tech support. Developing more modules and features may be negotiated per the client’s request. ¹ By trackers, the developer means the ZeuS tracker and SpyEye tracker: Swiss-based Anti malware organizations. ² Bot conversion rate is the ratio of the number of bots which actually communicate with the C&C server divided by the total number of bots infected. BASIC LICENSE: Trojan with hardcoded C&C server: $600. You get the Bot + the Builder that generates the configuration file. Ice IX is offered at a lower price than what one would have paid for a comparative ZeuS kit or a SpyEye kit (SpyEye is still being sold for an approximate $4,000 USD today). According to earlier posts about Ice IX an open license to the first version v1.0.0 was sold for $1,500. A function that will block the SpyEye trojan on Ice IX-infected PCs (this sounds exactly like the 'Kill ZeuS' feature of SpyEye). As with ZeuS, Ice IX will encrypt communication with the C&C server, using a different encryption algorithm to ZeuS. CSS files are successfully injected; it appears that Ice IX supports the use of Cascading Style Sheets in the process of integrating injected content into the original website's look and feel. This improvement steps-up the appearance of injected content and web page replicas. In the ZeuS trojan's injection mechanism, these three blocks had to come in a specific order. 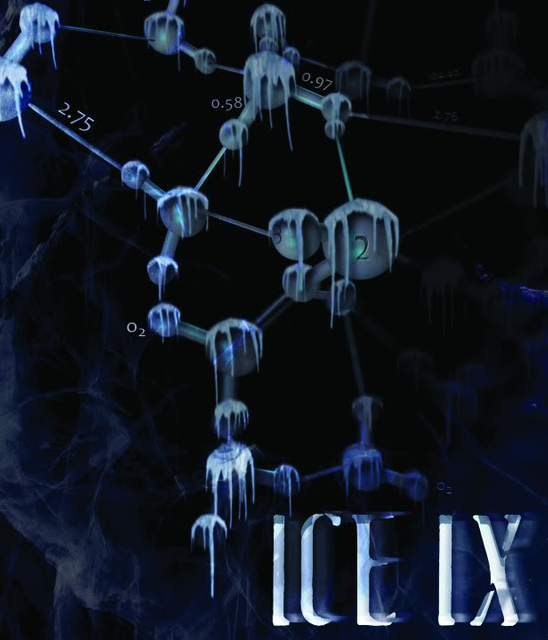 Using Ice IX, the order no longer matters; the trojan understands what it has to locate and inject. This means that the new injections are more fail-tolerant than the way they were used in ZeuS. Other changes applied to the code also aim to facilitate ease of functionality, rendering Ice IX more tolerant in a sense, where the use of wildcards in URL names does not slow page loading and case-sensitive search terms could be incorporated into the data fields searched by the trojan. So we can expect that from now on, more new banking malware will be based on ZeuS (and SpyEye) code. New malware developers, hoping to profit from cybercrime, will attempt to create their own new alternatives based on this source with the addition of incremental improvements over the older versions.